Now before any of my male friends decide to jump to my defense and hunt Justin Hill down and give him a once over, I should quickly express that it wasn't really his fault. He probably doesn't even realize that this woman he met once has been reduced to tears because of him. I met him last month at the UTSC Farmer's Market. I spotted him very early on as he was setting up his table. His bright red juicy tomatoes were calling me from afar. But as circumstance would have it my booth was so busy that I didn't have time to go over to his table til later in the day and he only had one small basket of juicy red tomatoes left. He did however have quite a few onions left. Ontario grown onions that would be perfect in my Garlic Onion Jam. Cutting these onions was like nothing I have ever experienced before. They were so fresh, so juicy and so tear inducing that just 2 onions in and tears were streaming down my face. 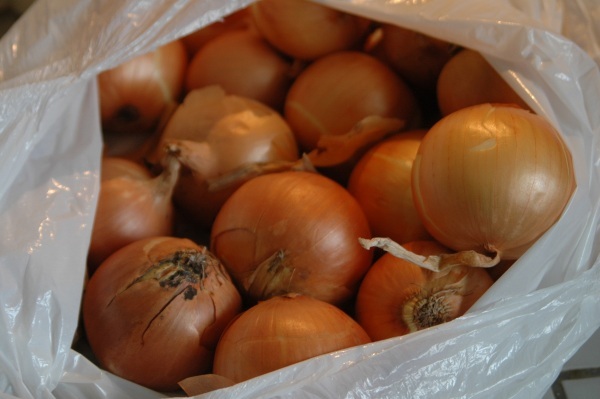 They are also perhaps the most flavourful onions I have cooked with. Justin Hill...you haven't seen the last of me!